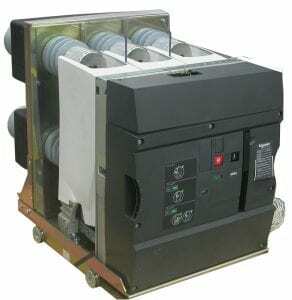 Fixed vacuum breakers were first introduced between the 1970’s and 1980’s. They were designed because of the safety, reliability and the overall total cost of ownership was better than its withdrawable counterpart. If a customer has the need for a variety of applications, then fixed breakers may be ideal. This blog will share some insight on why fixed vacuum circuit breakers can be a suitable alternative choice over withdrawable breakers. 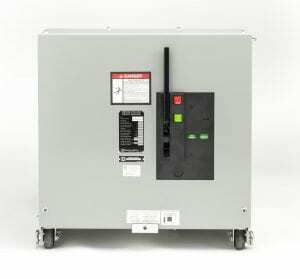 Withdrawable breakers are traditionally housed in larger 2-high structures. These larger structures can have “moving” or “complex” components associated with the design. MOCs, TOCs, shutters and energy dumping type interlocks increase the complexity of withdrawable breakers. This increase in complexity can add to the level of maintenance that is required. Fixed breakers can allow for a more streamline simple design with less parts to maintain. For example, as a result of not having finger clusters, fixed breakers do not require the annual application of lubricants. This allows the fingers to easily separate the breaker from the main bus. As a result of the breaker being fixed, integration into the switchgear structure is simpler and smaller. Withdrawable breakers typically have higher ratings up to 4000A with a kA of 63. While this may be ideal for certain applications, most do not require the higher ratings. If the desired application only requires 1200A and a lower kA rating, then a fixed vacuum circuit breaker will be a viable option. This does not affect how the switchgear will function. Even though the breaker could potentially have a lower kA rating, the number of operations will be at 10,000 operations as defined by ANSI/ IEEE. In addition to this, using a fixed type vacuum circuit breaker can alleviate space constraints. This can be viewed as important if space is an issue because the footprint of a fixed type breaker is available in compact sizes. The images below show the structural differences in fixed breaker versus a withdrawable one. They are very similar is style, however the withdrawable breaker is larger in size and has the additional finger clusters. The comparison of a cell structure these breakers would fit into are also shown below. The Metal-clad switchgear that would house the withdrawable breaker has more parts/ components that are easily identifiable. HVL/cb fixed breaker comp. Metalclad withdrawable breaker comp. 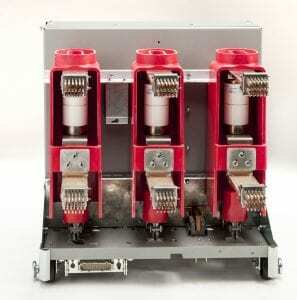 Choosing a fixed vacuum circuit breaker with a smaller footprint and the ideal required ratings could potential reduce associated total cost of ownership. Cost associated with fixed vacuum breakers have two aspects. The first is the cost associated with initially purchasing a fixed type breaker and the second is the cost of maintaining the breaker. This is commonly referred to as the capital expenditures or capex and operational expenditures or opex. First we will talk about the initial capex to invest in a fixed vacuum circuit breaker. A fixed breaker can be more cost effective than a withdrawable type, however this varies by manufacturer. As mention earlier, there are more components to include in the design of withdrawable breakers that are not factored into fixed breakers. This increases the cost to procure the equipment. Opex can potentially decrease with fixed style breakers. The total cost of ownership for maintaining the breaker decreases as the maintenance cycle time increases or is able to be extended beyond the 3-5 years. This is done because you have few parts associated with fixed breakers as mentioned before. With a reduce maintenance schedule the downtime of plant facilities may reduce. The added benefit is could also reduces your overhead cost associated with having additional employees to perform maintenance task. 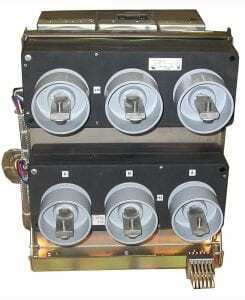 In conclusion, fixed vacuum circuit breakers should be considered when making your next choice for breakers. They can provide the same benefit as withdrawable breakers in regards to application and operation. 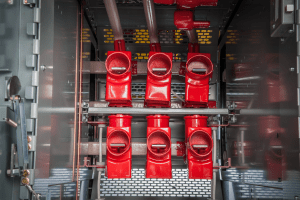 Although footprint, maintenance, functionality and cost are not the only factors, they are seen as key indicators on why they are important in selecting a fixed breaker as an alternative option.